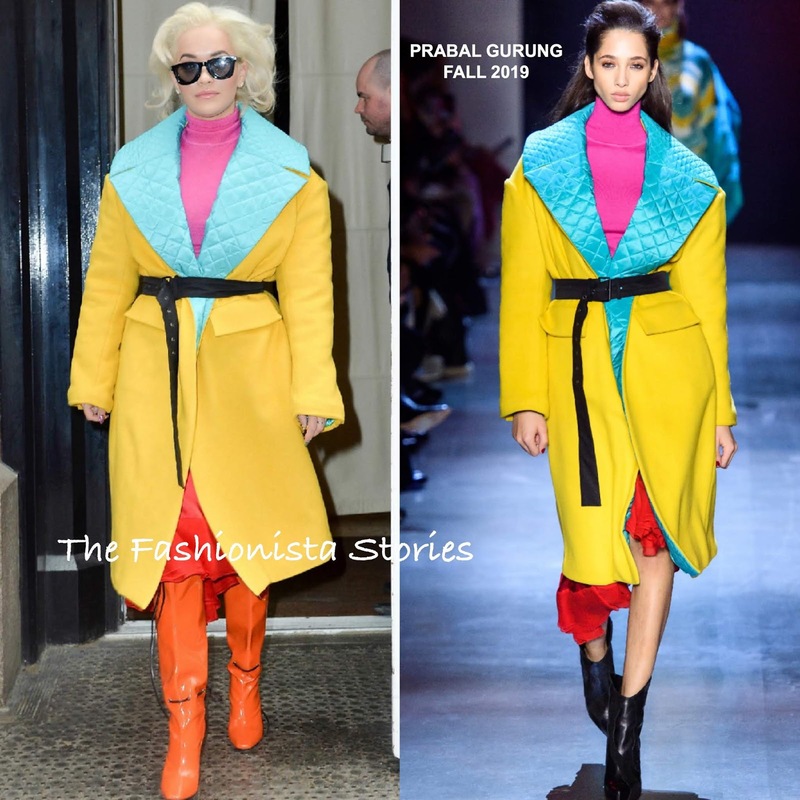 Following her Today Show performance, Rita Ora hit the streets of New York again rocking three more fashion forward looks. 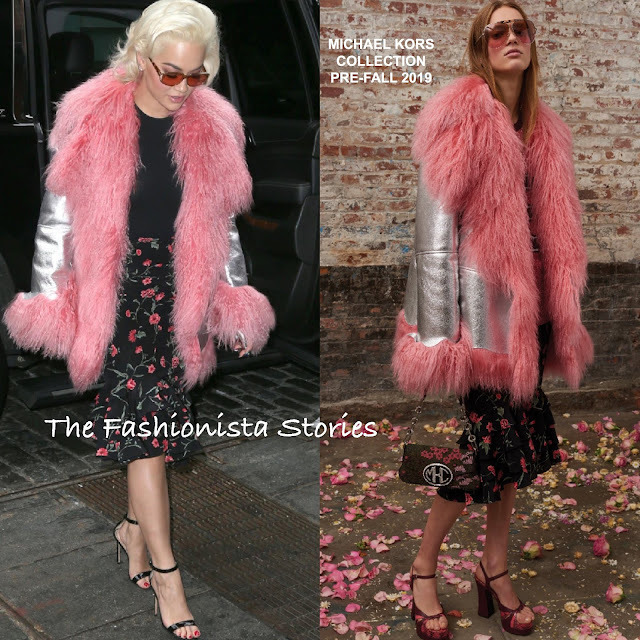 Early yesterday(March 25th) she stepped out in a MICHAEL KORS COLLECTION PRE-FALL 2019 ensemble which featured a silver metallic & pink shearling jacket, with an basic black top underneath and the 'Rumba' ruffle floral, asymmetrical skirt. While this doesn't look bad on Rita, I actually prefer the retro appeal of the ensemble in the look book. Later on that same day(March 25th), she could not be missed rocking a PRABAL GURUNG FALL 2019 color-block ensemble. Her look featured a saffron and turquoise reversible wool and quilted nylon duvet coat with an exaggerated portrait neckline, the pomegranate cashmere knit turtleneck, and the ruby silk cady and charmeuse bias cut skirt with silk chiffon insert and cascade ruffle hem. Love the color combination here but she should have ditched the runway styling. The belt isn't doing her any favors and I love the FABRIZIO boots but they clash with the skirt. Today(March 26th) she was spotted heading to a photoshoot wearing a PRADA FALL 2019 pink & black fur panel sweater from the menswear collection and a DIESEL ruffle hem skirt. This look I really like head to toe. The thigh-high boots adds to the flirty, edgy appeal of her look.